Injuries at a sports facility are not uncommon. Attending a sporting event is considered to be more dangerous than most recreational activities. For example, going to a baseball game is going to be considered a more high-risk recreational activity than going to the movies. While there is more inherent risk when attending a sports event, it does not mean that a sports facility will not be held liable if you are injured while being a guest on their premises. An experienced premises liability attorney in California can help you obtain the compensation you deserve. The theories upon which a sports facility can be held liable for your injuries essentially fall into three categories. This refers to the standard premises liability case. If the owner or lessor of a sports facility fails to properly maintain the premises and you are injured while a guest on the premises, then your premises liability attorney could hold the property owner or lessor liable for your injuries. For example, say the bathrooms were not properly cleaned and water spilled onto the floor thus creating a dangerous condition. Hours pass and still no employees clean up the spilled water and there were no signs to warn the patrons that the floor is wet. 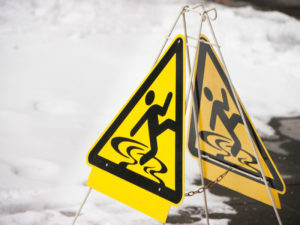 You enter the bathroom while at a sporting event and slip and fall from the wet floor, resulting in an injury. The fact that the dangerous condition existed and that the employees at the facility did not properly clean the facility could result in the sports facility being liable for your injuries. An experienced and knowledgeable premises liability attorney in California can assist you obtain the compensation you deserve. Conversely, say a patron spills a drink on the floor next to the concession stand. An employee is called and cleans up the spilled drink within five minutes. In this case, there would be a lesser chance of the sports facility being liable since accidents do happen. Patrons were steered away from that area and given other alternatives to walk safely to their seats, to the exit or to otherwise use the sports facility. This refers to a situation where the sports facility fails to reasonably maintain the premises for its intended purpose. If the sports facility’s failure to maintain the premises caused your injury, then you may have a valid claim against the sports facility. These are just some examples of how a sports facility’s failure to maintain the premises could result in its liability. The stairs leading to the patron’s seats are unstable, cracked, or broken. If a patron were to trip on those stairs and is injured, that could result in the sports facility being liable for the patron’s injuries. The parking lot is poorly lit and unsafe. As an example, patron leaves a sporting event at night and walks to their car in the stadium parking lot where there is no lighting because the sports facility failed to maintain it. The patron is assaulted and robbed which arguably would not have happened if the premises were properly lit. This could result in the sports facility being liable for the patron’s injuries. The seating area is not up to code and collapses from the weight of the patrons sitting in their seats, thus causing dozens of patrons to be injured. The sports facility would likely be liable for its failure to keep the premises safe and up to the building code. Sports facilities have a legal duty to keep the stadium or facility reasonably safe for its intended use. For example, at a baseball game, you can reasonably expect to have a net behind and around home plate to prevent injuries to the spectators sitting behind home plate. The reason is that foul balls are hit so fast in the area that a spectator cannot reasonably be expected to move fast enough to get out of the way. Conversely, a spectator in center field would have several seconds to get out of the way of a ball hit into center field as a home run which is why there is no net there. Whether a sports facility will be held liable for injuries sustained by a spectator depends on a variety of factors. The Baseball Rule. This refers to the concept of assumption of the risk. Purportedly every ticket sold to a professional sporting event has a disclaimer written on the back which states that each spectator is assuming the risk while attending a sporting event that they could be injured. Thus, if a spectator is injured by a foul ball or a miss shot puck, the stadium will not be held liable because the spectator assumed that risk by attending the event. Valid disclaimer? As to whether a disclaimer on a ticket to a sporting event is valid, the rule is not universal. Sports facility injury attorneys have successfully argued that every fan who attends a sporting event does not sign the disclaimer on the dotted line. Some courts have allowed a plaintiff or injured party to present their case to a trier of fact as to the issue as to whether a stadium is liable for the plaintiff’s injuries from a foul ball. Sports facility’s responsibilities. The sport facility would likely be held liable for any injuries sustained by a plaintiff if the facility was not properly maintained. For example, if there were holes in the net behind home plate or it was not properly installed and a fan was injured as a result, then the stadium would probably be held liable. If you have sustained injuries at a sports facility, contact a premises liability attorney at Russell & Lazarus today.